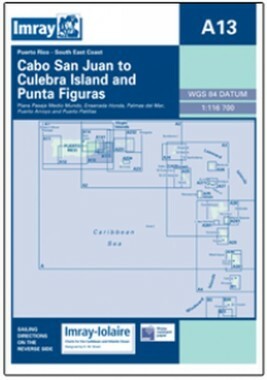 The SE coast of Puerto Rico, from Cabo San Juan to Culebra Is. and Punta Figuras. SCALE 1: 116,700. Larger scale plans of Palmas del Mar, Puerto Arroya and Puerto Patillas, Ensenada Honda, and Pasaje Medio Mundo. Flat chart, water-resistant paper.